Dessey, 12, readies for school, a few minutes walk from their home. That day, she only had a few pieces of bread for breakfast. There were days when Dessey goes to school with an empty stomach, something that her mother, Esmeralda, 38, didn’t want to happen but couldn’t do much because of the limited income the family has. “As a mother, it is painful for me that sometimes I failed to meet the needs of my children,” Esmeralda, a single mother, says. 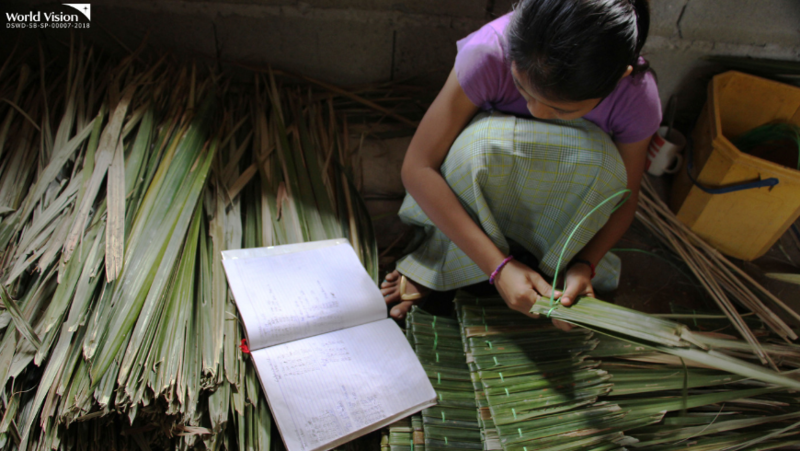 She works as palm weaver and only earns Php140 a week for weaving 200 palms. 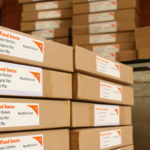 The amount is not sufficient to support her three children’s basic needs. 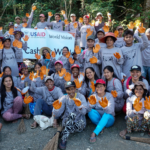 World Vision is starting a livelihood program in Dessey’s community that parents can avail to augment for their income. Educational assistance such as provision on school supplies has been provided for the children. Despite her family’s condition, young Dessey never complains. “I understand our situation,” she meekly says. 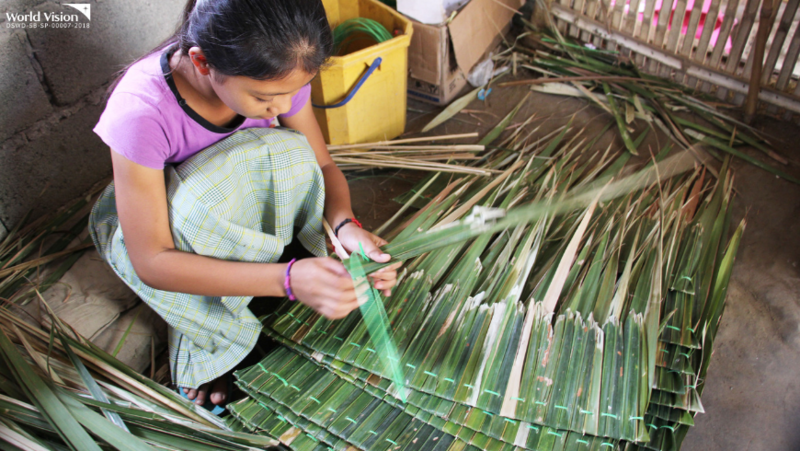 On days that she is not in school, she helps her mother in palm weaving. “I learned to do it by watching my mother,” she says. She also takes care of her two younger siblings, Daniel, 8, and Danica, 6, when their mother is out looking for work. 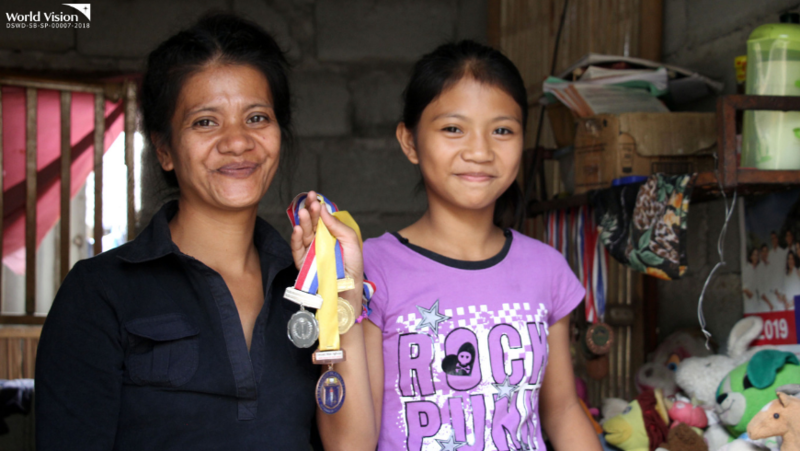 “Dessey is a very responsible kid but she is quite shy,” Esmeralda says. In Dessey’s village, World Vision has several children’s activities that promote children camaraderie and enhance leadership among children. Dessey has attended a few of these activities, especially on days that she has no school activities. Dessey will soon be in Grade 7. 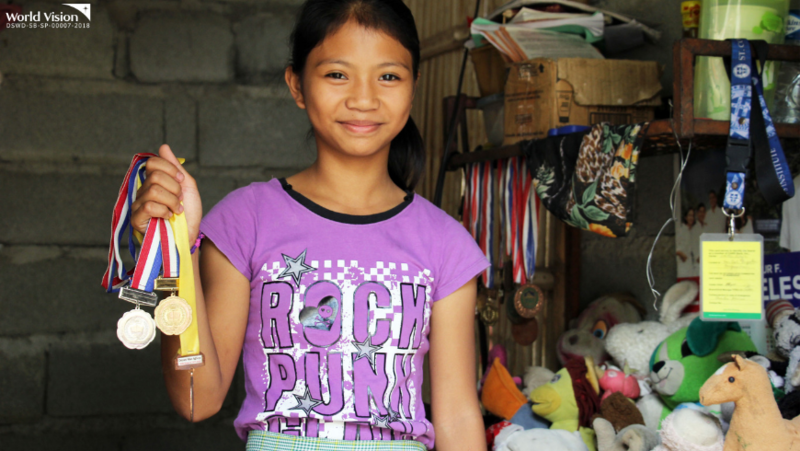 “When I become an accountant one of these days, I will help my family out of poverty,” she says.